Points of Interest At one time the line 1 station had 3 tracks for a shuttle. 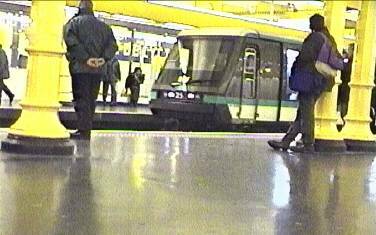 It was then used for revenue collection for RATP. The station is unique with its cut/cover construction and columns.